Home &rtrif; WHAT ARE THE PHOTO REQUIREMENTS FOR GOCARD SUBMISSION? WHAT ARE THE PHOTO REQUIREMENTS FOR GOCARD SUBMISSION? 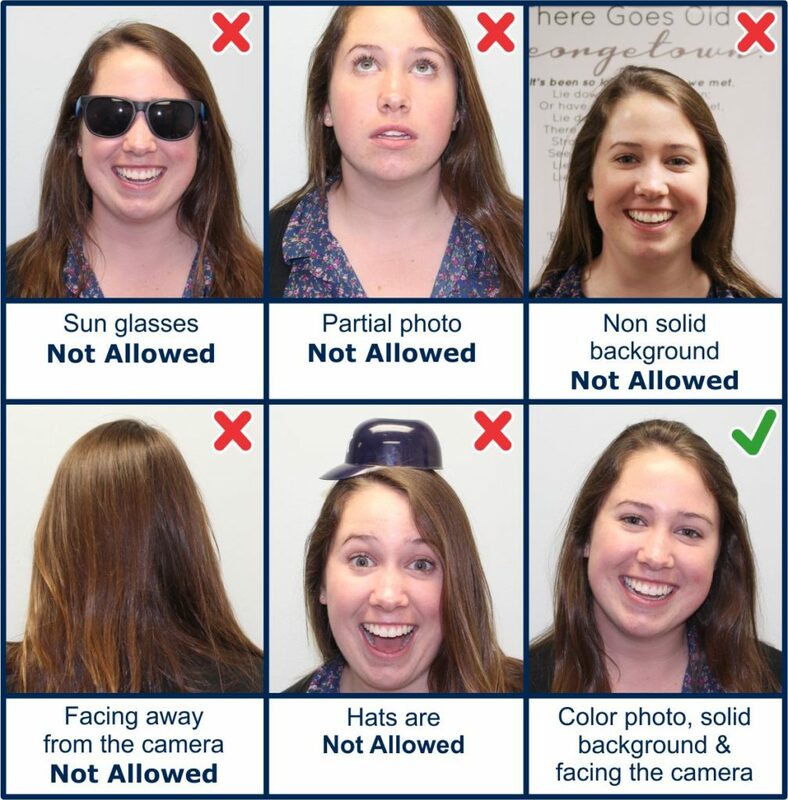 Your photo must be submitted at least 4 weeks before arriving to campus. We accept color passport photos with a frontal view of just the head and shoulders on a solid white or blue background. Do not look down or to either side. Your photo should display your head, including both face and hair, from the crown of the head to the tip of the chin, and from hairline side-to-side. Head coverings are acceptable due to religious beliefs, provided the head covering shows a full front view of the face, does not cast a shadow onto the face, shows an overall pattern in the fabric or material (not a graphic design). Adequate documentation for the person wearing a traditional facemask or veil is required. Prescription glasses may be worn for the photo; however, there should be no reflections from the eyeglasses that obscure the eyes. Dark glasses or nonprescription glasses with tinted lenses are not acceptable unless they are needed for medical reasons. A medical certificate may be required. No hats are allowed. The key requirement for your GU GOCard ID is that the photo clearly identifies the cardholder.